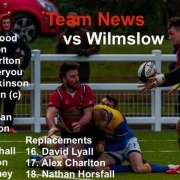 If its not too late a Happy New Year to everyone and a welcome to our first home game of 2019 versus Lymm. We visited their ground in late September and won 26-13. They are located in the attractive Cheshire countryside and are a welcoming social club who attract the majority of their players from the immediate locality. They have a private gym next to their Clubhouse but that’s where their similarity with Swalwell ends. 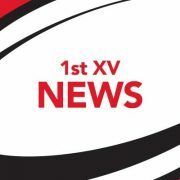 We welcome their team and supporters today and hope that their player /coach, Andy Davies, a former Blaydon scrum half, is able to attend as he missed the last game with flu and I understand that he may now have an injury. It would be nice to see him again at Crowtrees. Congratulations also go to our Georgians team for their fine win against Darlington Mowden Park. 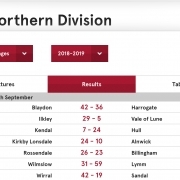 Both Northumberland and Durham County’s Clubs are to debate the RFU proposal that teams with strong 2nd teams be able to enter lower leagues and play against other Clubs 1st teams on a regular basis within a League. Blaydon, DMP, Billingham etc are all for it as this will provide regular and competitive rugby to our 2nd team. However it appears that those clubs already struggling in lower leagues are against any such proposal as they fear for their 1st team future. We shall see, but we need to encourage competitive rugby, and reduce the number of games being cancelled already at 2nd team level because of potential mismatches.